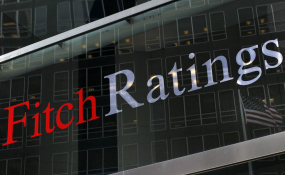 FirstRand Namibia Group Economist Daniel Kavishe has said that Fitch's recent drowngrade of the country's ratings from Stable to Negative, is unlikely to improve. In a statement last week, Kavishe said "all in all, it is unlikely that the country rating will improve in the near term unless drastic changes are made to create policy stability and a competitive investment environment." Kavishe said that as social deficits widen, the government will have to pronounce its self on key legislature related to land reform, equitable economic empowerment and public-sector governance to reignite investor confidence. He said proposed tax amendments which are intended to increase revenue, will likely detract from the pace of economic recovery. "Quick wins for the country will therefore be clarity on policy front, reigning-in government debt and transformation of governance at state owned entities. Through the improvement of local business environment, Namibia will be set on a sustainable and steady path of economic recovery that entices both domestic and foreign investments," he added. At "BB+", Fitch expects the economy to rebound gradually in 2019 to 0.7% from a projected decline of -0.4% In 2018. Kavishe added that mining output and increased expenditure supported by an African Development Bank loan, will likely spur growth in the medium term amidst global economic slowdown and sluggish regional performance. "With the government's budget deficit expected to widen to 4.1% by 2020/2021, Fitch remains concerned of transfers to loss making SOEs and high public-sector payroll costs," added Kavishe.